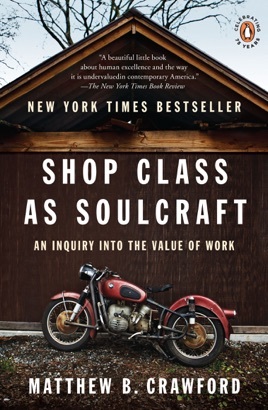 Called "the sleeper hit of the publishing season" (The Boston Globe), Shop Class as Soulcraft became an instant bestseller, attracting readers with its radical (and timely) reappraisal of the merits of skilled manual labor. 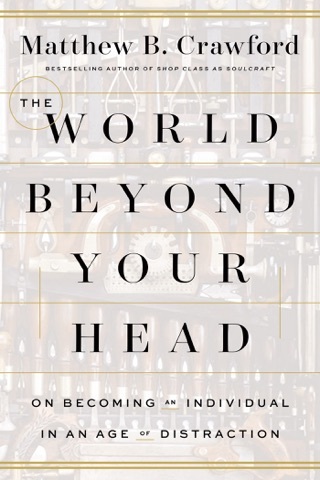 On both economic and psychological grounds, author Matthew B. Crawford questions the educational imperative of turning everyone into a "knowledge worker," based on a misguided separation of thinking from doing. Using his own experience as an electrician and mechanic, Crawford presents a wonderfully articulated call for self-reliance and a moving reflection on how we can live concretely in an ever more abstract world. 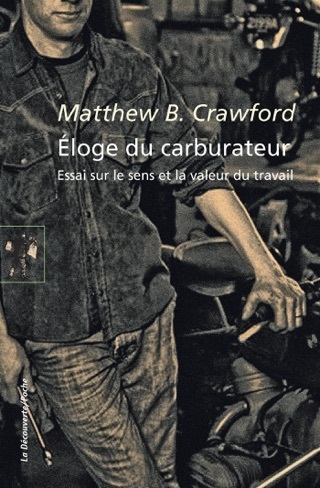 Philosopher and motorcycle repair-shop owner Crawford extols the value of making and fixing things in this masterful paean to what he calls manual competence, the ability to work with one s hands. According to the author, our alienation from how our possessions are made and how they work takes many forms: the decline of shop class, the design of goods whose workings cannot be accessed by users (such as recent Mercedes models built without oil dipsticks) and the general disdain with which we regard the trades in our emerging information economy. Unlike today s knowledge worker, whose work is often so abstract that standards of excellence cannot exist in many fields (consider corporate executives awarded bonuses as their companies sink into bankruptcy), the person who works with his or her hands submits to standards inherent in the work itself: the lights either turn on or they don t, the toilet flushes or it doesn t, the motorcycle roars or sputters. With wit and humor, the author deftly mixes the details of his own experience as a tradesman and then proprietor of a motorcycle repair shop with more philosophical considerations. The book had it's great moments when equating the value of labor as a mechanic. It was also fun to tear at the societal beliefs that college is a must. 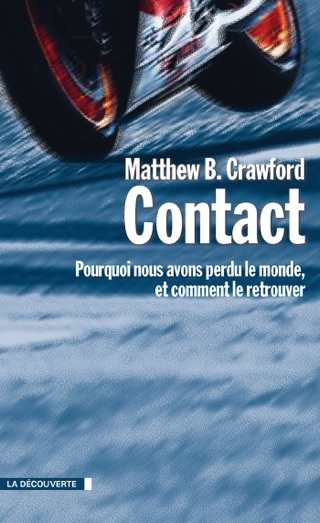 However, I don't understand motorcycle repair (the setting of the book) and I felt the conclusions were vague. Crawford is an iconoclast, a philosopher, and distinctly not an ideologue. He makes a provocative and delightful argument for the intellectual value of working with your hands to solve problems not in theory but in the real world of people and objects. 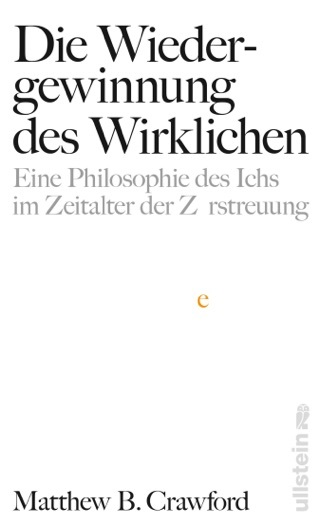 The book is also perhaps surprisingly a very honest account of the author's own intellectual growth. This book will be satisfying to anyone who has passed through the halls of academia or the offices of K Street and seen the dishonesty of those who work too far removed from the messiness of the real world where theory or a neat statistical model just can't fix a proverbial motorbike. I hope Crawford keeps writing in this style. He is the kind of thinker Malcolm Gladwell wishes he could be. This book was very well written. Offers a lot of insight in an accessible, entertaining format.